I have this little blog. It is little, if I ever break twenty followers I might faint. I have advertised on every loop I'm on. I am constantly mentioning the release on my Facebook page. I have guest blogs and interviews for next month around the time of the original release date. The lovely Amber Skyze and Linda Kage have taken pity on this new author and featured my book on their blogs. They have also very graciously purchased the story. I thank the two of your for the support from the bottom of my heart. The question is, what do I do next? Next week, the book will be released on third party sites like Amazon, Barnes and Noble, ARe, and... you get the picture. What else do you do to promo your work. I do exactly what you're doing. Nothing else that I can think of. Though I'm sure there's tons that other writers do. I have my copy now I need time to read! Finished reading FM!! 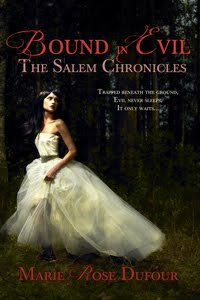 And I must say, I hope this turns into a series because I would LOVE to get my hands on some more Surrealian (spellling?) men! Wow, yummy, I want to be Liz, even for one day! Oh wait, have you woke from your faint yet because it looks like you have 20 followers!! Anyway, someone (still don't know who) once submitted one of my contests to http://www.contestlisting.com/ and I had a BUNCH of people enter to win an ebook copy of one of my stories. Maybe you could advertize a giveaway of your book there. You could submit your story to review sites too. I've had great success about getting my story reviewed at Sizzling Hot Book Reviews. Or you could go to some of your favorite author's sites and see where they were reviewed, then go to those sites and look into their advertising options. You can usually do a guest post or get an interview for free, or pay for a small monthly ad of your cover to be put on one of their sidelines. You can also join some yahoo group chat loops and post excerpts of your story on their "promo" days. I'll send you a list of a couple if you like. There's just so much stuff to do in promo, thinking about it makes me dizzy, but you certainly look like you have a great start on it. 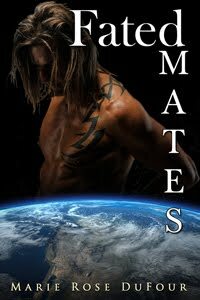 Whenever Fated Mates comes up on Goodreads, I'll post a rating there for you!! And now for the fun part, eh? LOL. But, you know, promo CAN Be fun. It really can.